** We just launched the first version of our Android app. Download it from the Google Play Store at: Autopten - Cheap Cars For Sale. 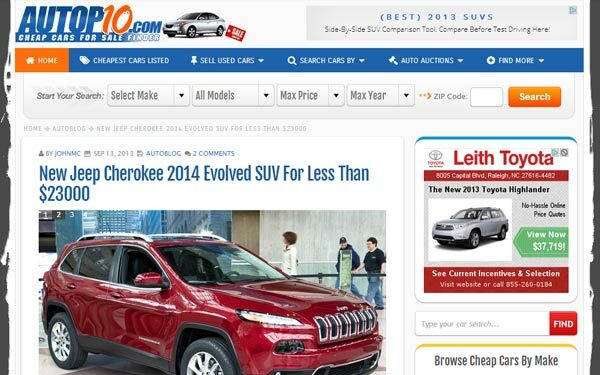 1) Helping U.S. small car dealers to sell their most inexpensive cars on their inventories. 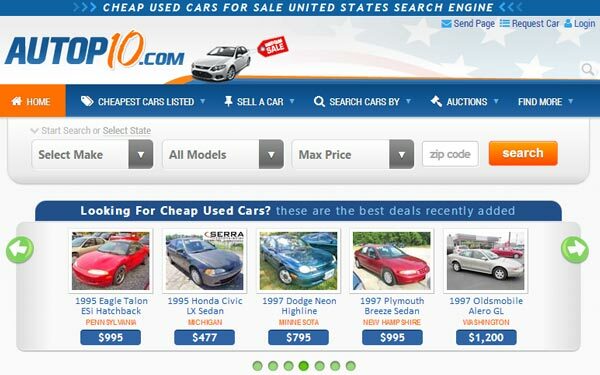 2) Helping U.S. car buyers with a low budget to find a used car priced according to what they can afford and at the same time, share with them informative articles that help them to take a decision on which cars are good to buy when you do not have enough money to buy a new one for example. 3) With articles, blog and forum posts, helping and suggest to buyers that are thinking twice about getting a new car or not because of the cost, to decide which are the cheapest and best alternatives currently in the U.S. market. 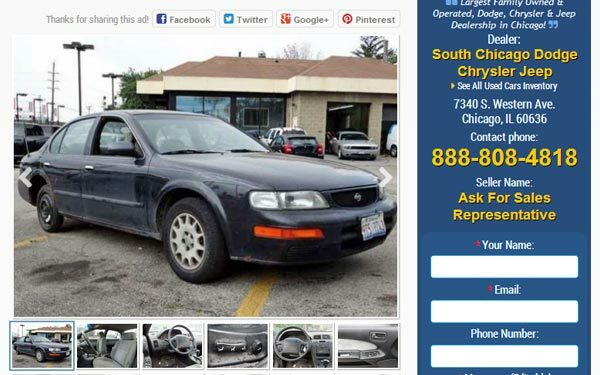 Any car owner or car dealership can publish used cars classifieds here for FREE. We promote vehicles that we think are the best offers for our users according to our research stats that constantly tell us what kind of cars are they are looking for on-line and through which search parameters they come to our website. We promote these vehicles on our social media channels (Facebook, Twitter, Google+, YouTube, Pinterest, etc) and also through our RSS Feed where our subscriptors receive frequently the latest updates and best car deals published by dealers and private owners. When you sign up with us as a car dealer, you are free to upload up to 60 vehicles under your own responsibility and criteria, however, when you sign up at Autopten, you are also giving us the authorization to review and use your on-line inventory to promote it in our own creative ways, which consists mostly in creating ads that besides the price, year, model, type and some features of the vehicle, also offer some extra information about the cars and its positive aspects, highlights, specs and reviews, like for example, why it would be a good purchase or why it is a good car, always bearing in mind our final goal which is to get you in touch with the buyer so that you can get or achieve the sale. You, as a dealer, are in charge of deleting the vehicles that are already sold or you can also opt to leave them marked 'as sold', so that users and buyers can see your other deals, get more information about your company as well as getting an idea of what are the averages prices you manage on your inventory. This is a suggestion we give to the our dealer members before they delete a vehicle. Nothing. Zero. Nada. The service is 100% free for both, private owners, dealers, dealerships or independent sellers. We've been helping private owners and dealers to sell their most economy cars since 2007 and we'd love to keep doing it and publishing on our search engine all the used cars for sale possible from as many U.S. dealerships as we can, but taking into account those small dealers that tend to have on their lots pre-owned vehicle priced for low prices under $5000 and under $10000 mostly. So, if you are a car dealer with 5, 10 or more than 50 or 100 cars in your inventory and 10 of them are priced under $10,000 or under $5000, we really would like to help you sell them publishing them on our database. According to our experience, Autopten.com's visitors, which are mostly teenagers, college students, first drivers and first owners, aren't looking for overpriced cars, they are looking for really cheap and good commuters cars that they can afford easily and that's what we want to offer them. What is a cheap car for us? Actually, there isn't a standard price or metric measure to define if a used car is cheap or not, that depends more of how much is the buyer budget and how much are they willing to pay for a car, an of course, there are some other secondary factors that matter like the overall condition of the car, mileage, etc., but according to our search stats and analysis, most of our users come to Autopten.com looking for used cars priced for below $10,000 dollars and specially, they mostly want those priced for under $5000 dollars. So if you are a car dealer and the prices you manage in your inventory are in this range, we'd love that you sign up with Autopten and let us to get in charge of marketing your cars in our site and our social networks. If you would like to see what are the cheap car dealers members registered to have an idea what type of cars and prices they manage, please follow the link. We actually work with small car dealers from all U.S. states, cities and small towns. Generally, these small dealers are those who offer the lowest prices and that's exactly what our users are looking for. How people and users find or come to Autopten? In our forum and blog, we are continually writing and discussing about the latest news in the automotive industry, For example, we are always pending of which are the cheapest new cars that are coming to the U.S. market and write about them and we take advantage to recommend the best ones to our users recommend. We discuss what are their specs, features, highlights, positive and negative points, and this is one of the ways that our users arrive to Autopten using queries trough search engine about the subjects we write. In past times we have also used different CMS or content management systems to write and publish these articles, but we discarded them because in a matter of usability the became obsolete, so we have decided to use our forum as our a blog too. To see the news archive file, please follow the links.